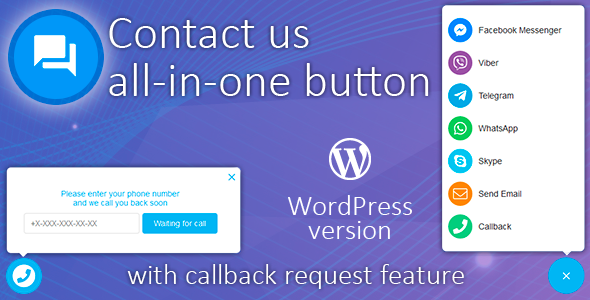 “Contact us all-in-one button” displays on every page of your site and provide as many contact methods as you whant. You can choose what of contact methods will be displayed on desktop and mobile versions of your site separately. Also that way you can set one link for desktop version and another for mobile.